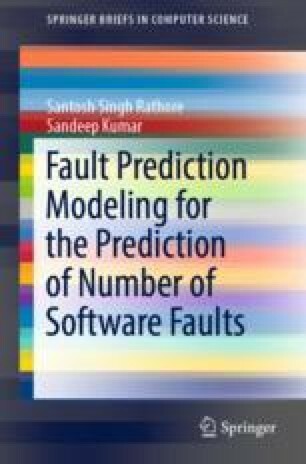 In the previous chapter, we explored the use of linear rule based ensemble methods for the number of faults prediction. In that work, we used four different ensemble methods, each of them combines the outputs of base learners in a linear form. Results of experimental analysis showed that a stable and accurate fault prediction performance could be achieved using linear rule based ensemble methods. However, these ensemble methods capture only the weighted contributions of base learners and combine them in linear way, which may sometimes suffers from the linearity error problem of fitting in a straight line (Fox in Regression diagnostics: an introduction. Sage, 1991 ).